Two well respected bands in extreme doom circles go at it together for this split release, both with one track each. Due to the genre as you would expect that does not mean a shortage of material in any respect as the numbers weigh in with a combined total of 30 minutes between them. 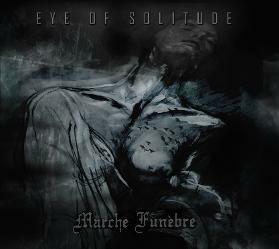 Eye of Solitude are from the UK and Marche Funèbre are from Belgium. They have teamed up to offer this doom-filled split release. The new split album featuring two lengthy tracks by England’s Eye of Solitude and Belgium’s Marche Funèbre perfectly represents two facets of sorrow and two sides of underground extreme doom metal.